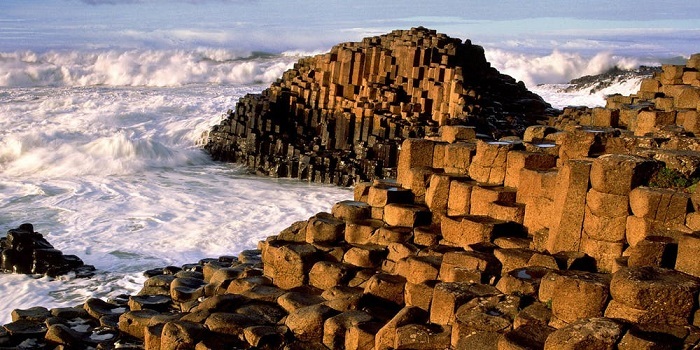 The Giant’s Causeway, on the northern coast of Ireland, is the stuff of legends. The story goes that in ancient times an Irish giant built the causeway to cross the Irish Sea to reach enemies in Scotland. Similar formations are on the Isle of Staffa off Scotland’s coast. The scientific explanation is that 50-60 million years ago the 40,000 or so basalt columns formed as a result of volcanic activity.